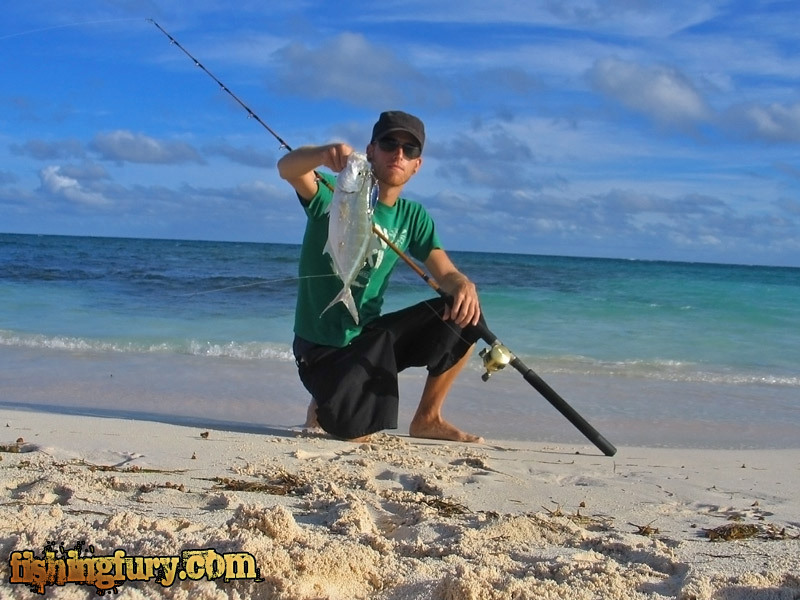 Category: British Virgin Islands | FISHING FURY - A Fishing Blog with Attitude! I was lucky enough to be enjoying a prolonged stay in the British Virgin Islands four years ago today. Life was pretty damn good. The fishing was tough, but rewarding. 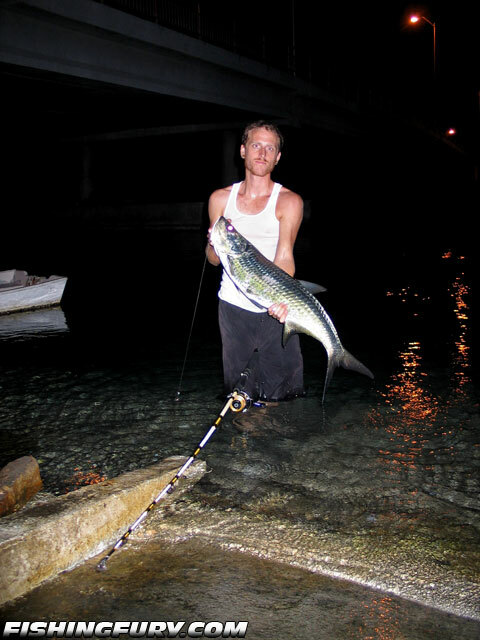 I started a Tuesday night fishing outing appropriately named Tarpon Tuesday, in which a group of my friends and I would meet on a bridge from some night fishing. 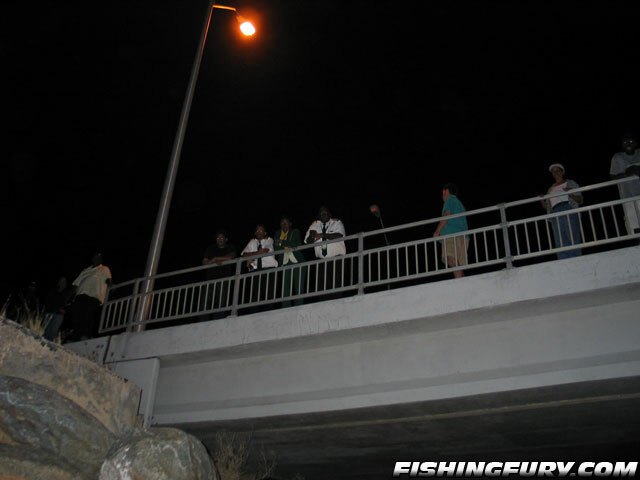 During the height of our Tuesday expeditions, as many as 10 fishermen would line the bridge peering into the darkness for a glimpse of the silver king. The fishing was often too slow for the average fishermen, and we would spend our time drinking beer and eating pizza while our baits dangled in the water below. After several Tuesdays had passed only a few brave fishermen remained. We had been in a serious slump and only myself and two of my friends, Colin and Nick, had joined me this particular night. 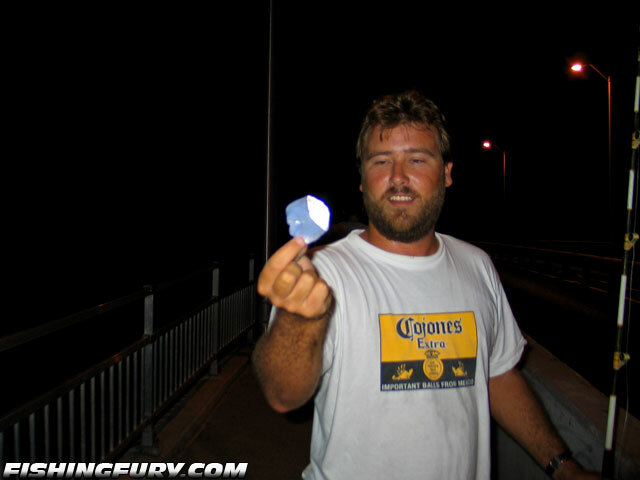 Neither of them had caught a tarpon yet or anything of good size, but on this fateful night that would all change. The night started as any other. 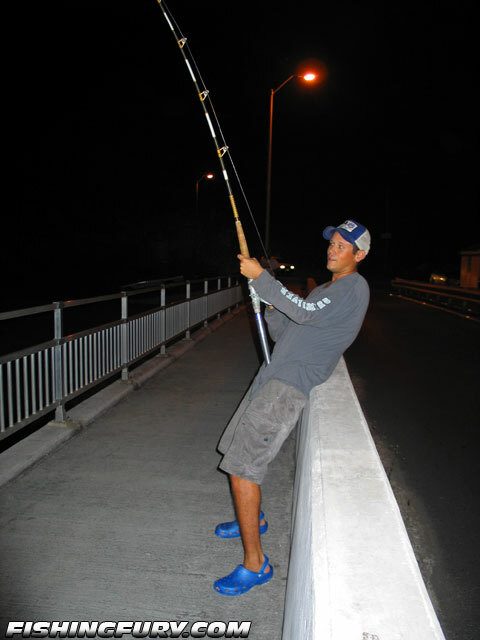 I was the first to arrive at the bridge and I started out by trying to catch some live bait. Colin and Nick arrive not long after, and Colin was armed with his big offshore reel. We had seen some large sharks in the area recently and thought it best to be well prepared. Colin dropped his bait straight down from the bridge, and it wasn’t look before he hooked up with a big tarpon. 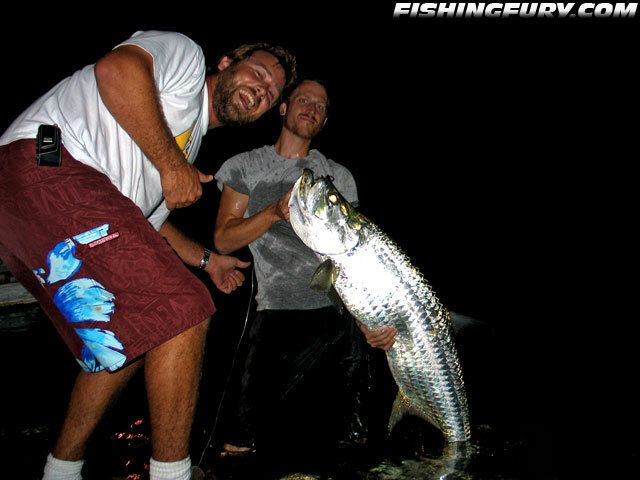 I had promised Colin a big fight and some serious acrobatics, but this large tarpon did neither. Of course, he was using a massive reel spooled with 80lb mono. The fight was quick and apart from a few close calls with the bridge pilings, the silver king did little to escape. I went down to pick up the fish, and to my surprise it was much heavier then the previous tarpon I had caught, and I could barely lift it out of the water. 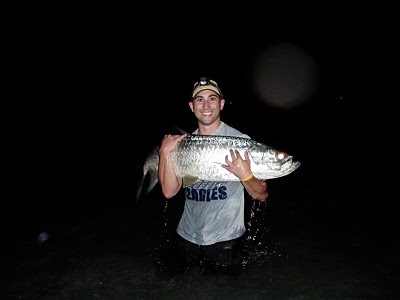 Colin’s first tarpon, an honest 100 pound fish! 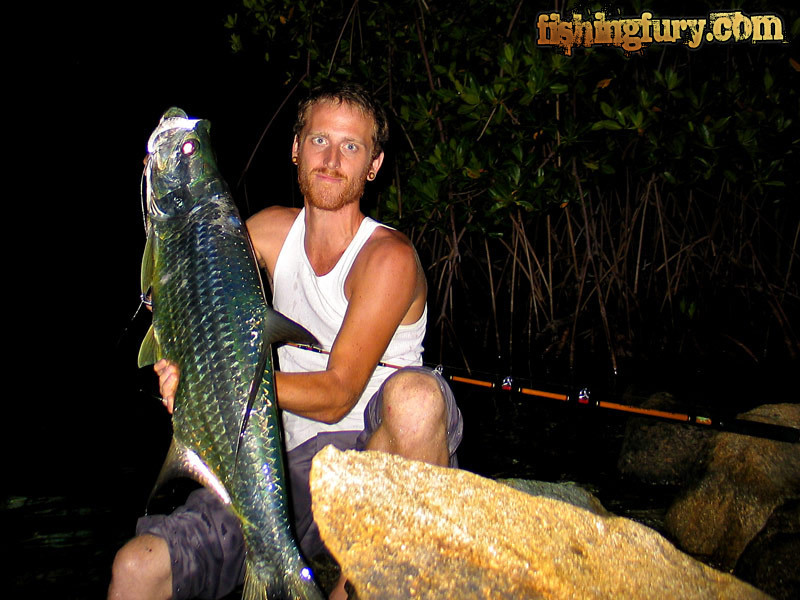 Colin kept just a single scale to remember his first tarpon! It was no more then a beer or two later when I hooked up. 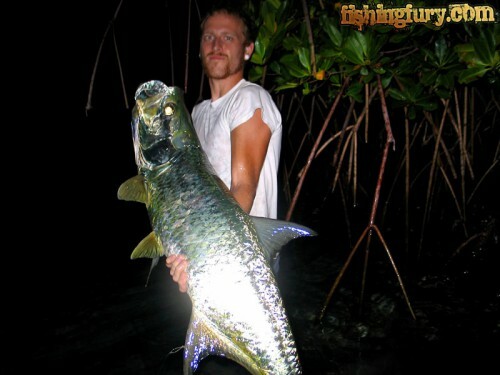 Another Tarpon! This one was clearly much smaller, but it fought well and showed off its acrobatic skills. 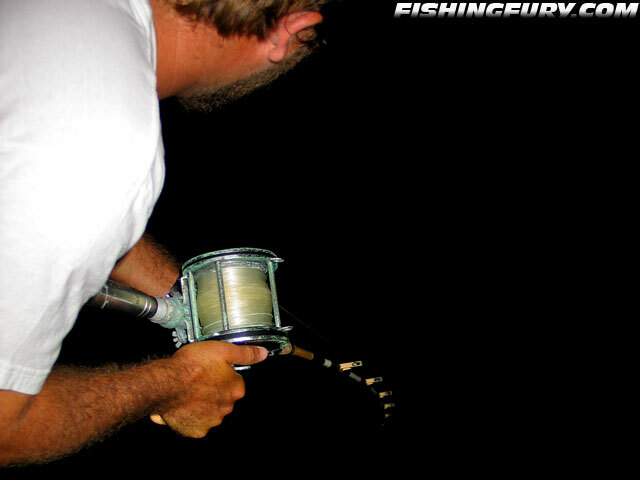 He lunged for the rod, and as soon as he picked it up, the reel started screaming. He set the hook and we waited for the sound of a splash, a telltale sign a tarpon was on the other end, but we heard nothing. Whatever it was, it was big. We all thought it had to be a shark, we had never seen anything else besides a tarpon that was big enough to pull that kind of line in the area. As cars drove boy they saw Nick fighting the fish and they stopped. All traffic was at a standstill in either direction as people got out of their cars to watch. Not long after we got a glimpse of something orange, clearly not a shark, and not as big as we had believed either, but this fish fought like it was six feet long. Nick got the fish to shore as the crowd applauded when they saw the big snapper. The hook popped out with alarming ease. I tried to pick up the fish to get a photo with Nick, but the brute still wasn’t done fighting and with one last thrash of its tail, it flew out of my hands and into the water, disappearing into the darkness. Tarpon Tuesday continued until once again I was the only fisherman. I spent my last night on Tortola alone at the bridge that had brought so much joy and excitement to me and my friends and I promised myself I’d return. 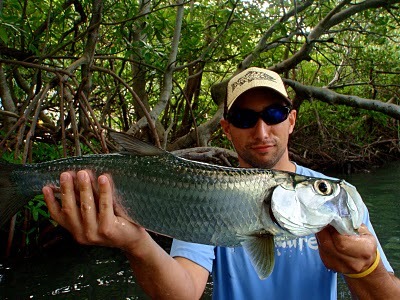 If you’ve ever fished for tarpon, you know just how challenging it can be. I spent several months in the BVI chasing these prehistoric beasts and I know as little today as I did the first day I fished them. I managed to catch my fair share of fish, but there were days when there were 50+ tarpon feeding within casting range, and no mater what I tried, I could not get one to bite. 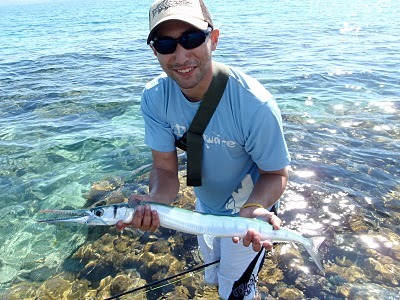 Even live bait failed to produce fish! Matt from This River Is Wild managed to get some awesome footage the other day, showing just how tough it is to convince a tarpon to bite. Read his report at This River is Wild. If you followed this site for any amount of time you’ve probably seen me write about the British Virgin Islands. 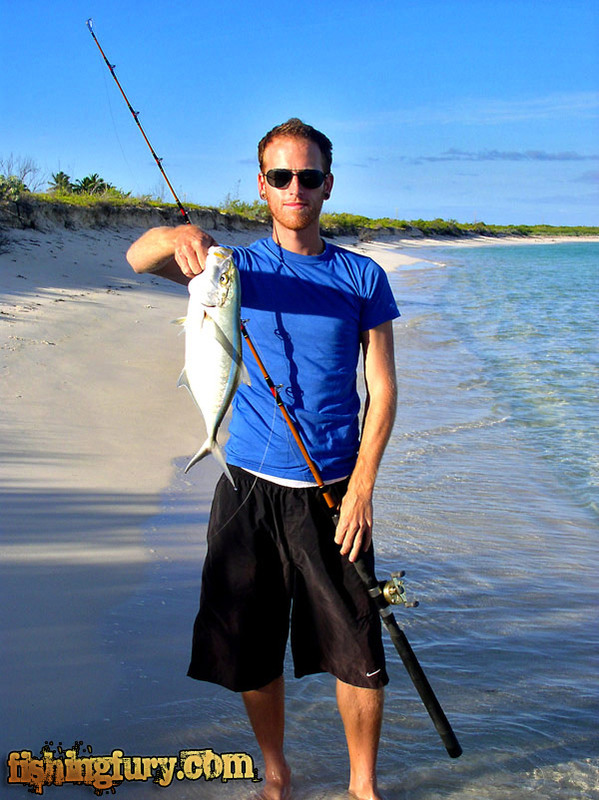 I was born on the main island of the BVI, called Tortola, and it one of my favorite places to fish. Its been a few years since I’ve been back and every winter it kills me that I’m shoveling snow while other people are capitalizing on the great fishing to be had. 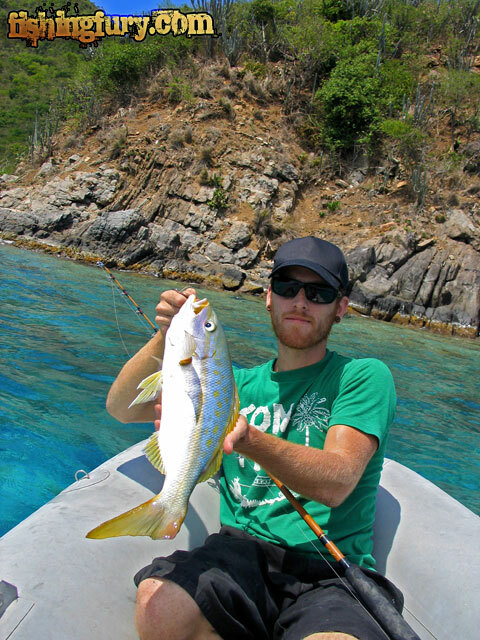 Luckily there are a couple of people documenting their BVI fishing experiences as I did. 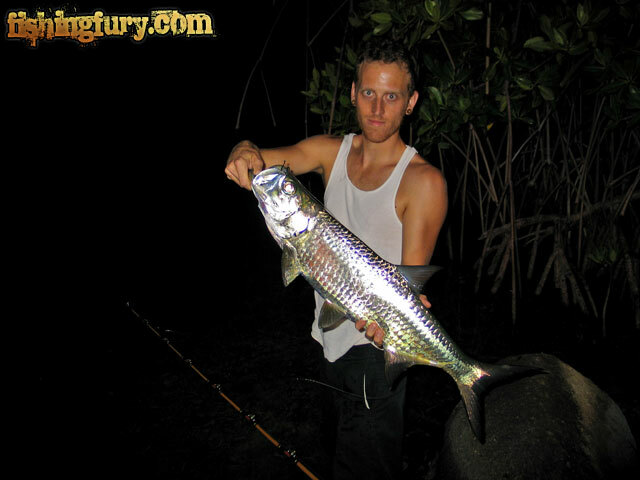 So if you are looking for some awesome tropical fishing photos to keep you warm this winter, check out This River Is Wild. An make sure you read back a few pages, there is a ton of great reading! 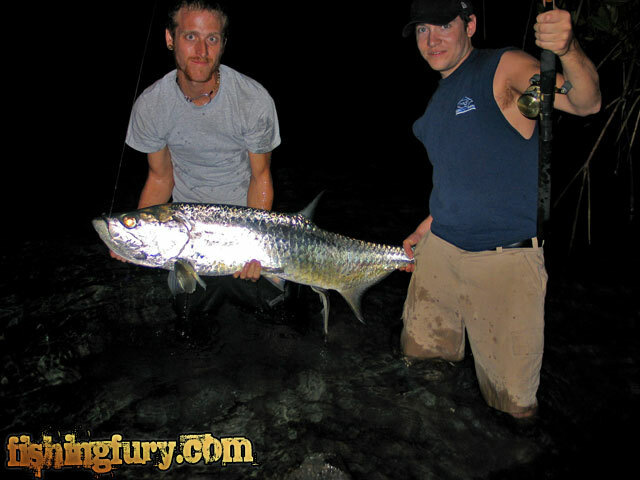 One of the authors, Matt, has managed to do what most visitors fail to do, consistently catch tarpon on the fly! 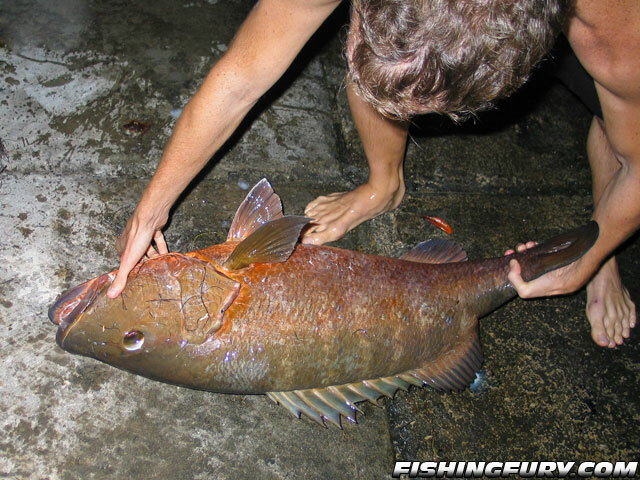 Here are a few of his catches from the BVI! There are few fishing rods as easily recognizable as the Shakespeare Ugly Stick. They’ve been around for 30 years and are the number one selling rod of all time. I own four of them myself, and they have never let me down. I’ve called the Ugly Stik the best rod in the world, and I’ll stand by that. I’ve put these rods to the test on multiple species and the Ugly Stik has always come out on top, see for yourself! If you don’t have an Ugly Stik, heres you chance to save $25 off the regular price of an Ugly Stik Tiger from our OpenSky store! Just leave a comment below to let us know you are interested and we’ll pick a winner later this week! And if you already have an Ugly Stik, no problem! You can use that $25 toward any other item in our shop valued over $50!